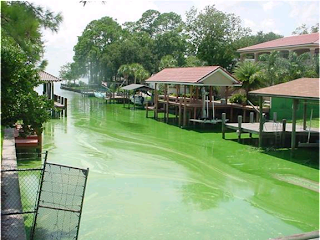 The EPA committed to set nutrient pollution limits after the Bush Administration determined that they were needed in Florida. That determination produced a settlement of related litigation by Florida Wildlife Federation, Sierra Club, St. Johns Riverkeeper, Conservancy of Southwest Florida, and Environmental Confederation of Southwest Florida. In January, 2009, the Florida Department of Environmental Protection endorsed the determination and agreed that pollution limits are needed in Florida. EPA’s action today sets pollution limits for Florida’s flowing freshwaters, lakes and springs. Pollution limits for estuaries and South Florida canals will be set by August 2012. "The cost of doing nothing is far greater than the cost of cleaning up Florida's waterways. Fertilizer runoff, industrial pollution and raw sewage spills have added enormous loads of nitrogen and phosphorus to our rivers, lakes, streams and bays,” said Frank Jackalone, Florida Staff Director of the Sierra Club. “That pollution feeds red tides and harmful algae blooms which devastate our fisheries, make people sick, lower property values and shut down coastal tourism. Thankfully, EPA has stepped in to rescue Florida from the powerful gang of polluters who for decades have used campaign gifts and intimidation to stop state government in Tallahassee from taking this action on its own." The EPA reports that it has received 22,000 public comments on the proposed new nutrient pollution standards, and 20,000 of those comments were in support of the standards.